The Historic Trust’s vision is to make Providence Academy a center of community activity where modern-day use merges with history. 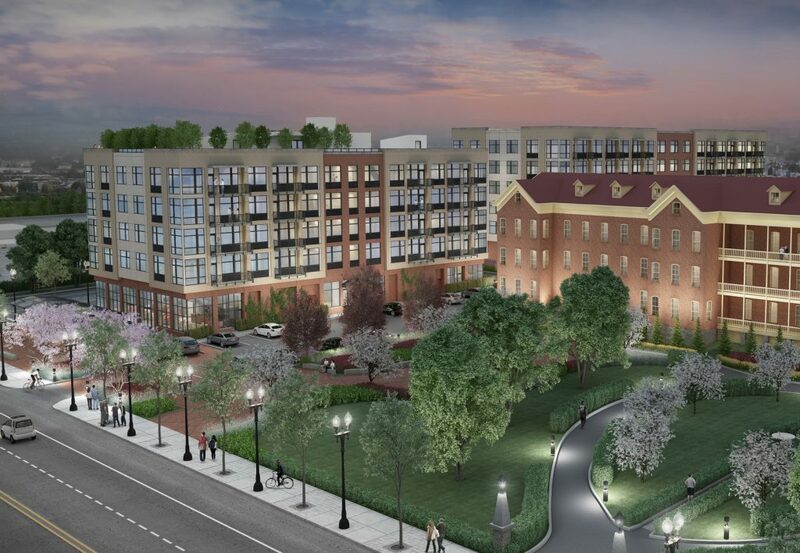 The Trust seeks to sell the west end of the property to create a mixed-use urban campus in service of The Trust’s vision of an active Providence Academy site. Proceeds of the sale will pay off the site’s purchase debt and put The Trust in the financial position to preserve and renovate the Providence Academy building. 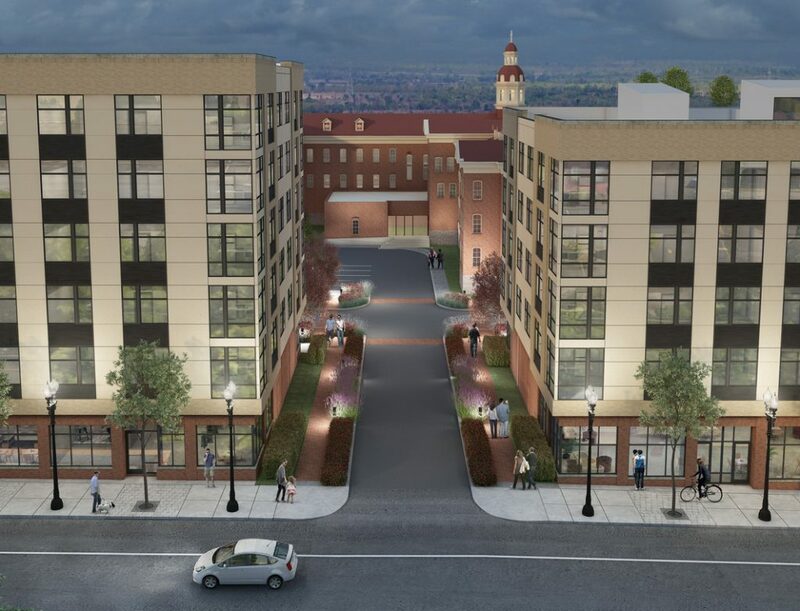 In addition to an estimated $5.5 million from the sale, Marathon Acquisition & Development’s planned project will invest an estimated $3 million in bringing the site up to current code standards and improve its safety. 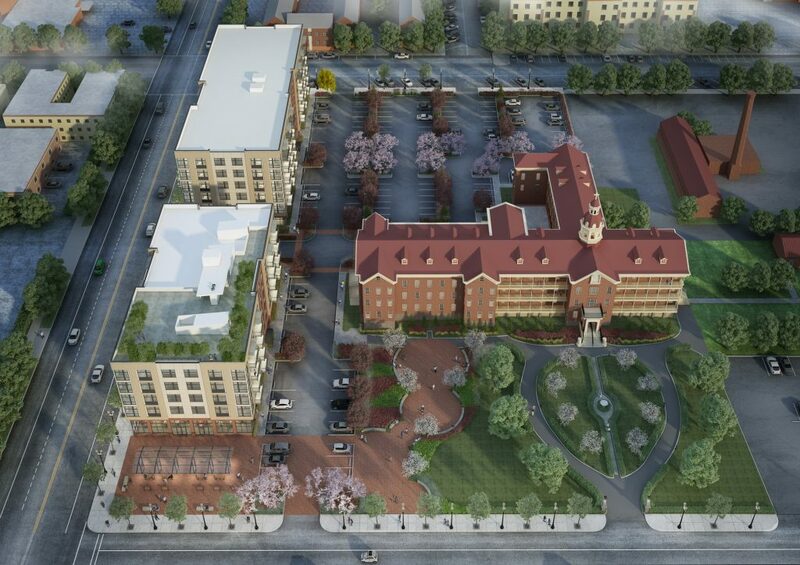 The Historic Trust and Marathon have engaged the community in the Providence Academy site redevelopment project through stakeholder engagement interviews; the April 17, 2018 public open house; creation of the Academy Advisory Team that developed the recommendations for plan revisions based on feedback from the public, stakeholders, the Clark County Historic Preservation Commission (CCHPC) and the City of Vancouver; and the May 31, 2018 updated redevelopment plan presentation and open house. 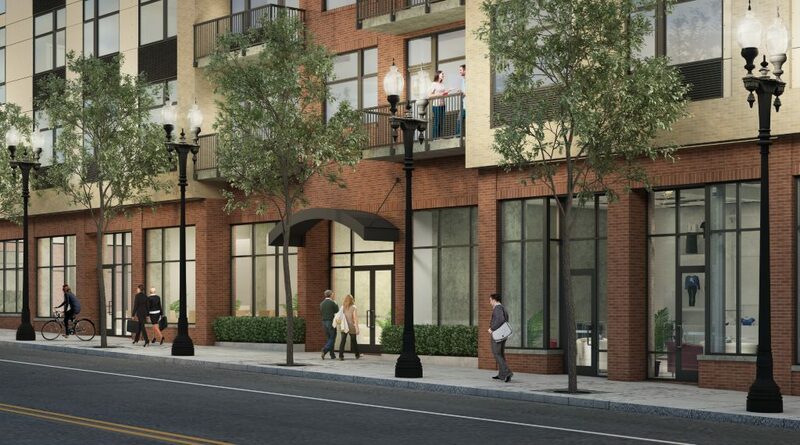 Improve view corridor from the corner of C Street and Evergreen by moving Building A back 16 feet and increasing the public plaza by roughly 1,300 SF. Add more red brick to the development on Building A above the East and West lobby entrances and in the site’s hardscaping. Incorporated more decorative elements by adding concrete “faux-stone” sills to the storefront windows, changing the balcony railings traditional black vertical steel pickets, and arching all lobby entrance awnings and the plaza canopy. Make the C Street view corridor more attractive by changing the pathways to red brick and adding interpretative art. Marathon has applied to the City of Vancouver for the necessary land use approvals for the proposed development. Stay tuned for updates as the project continues to evolve. The Marathon contractors are working with community partners to ensure any materials in good condition from the deconstruction of existing buildings will be recycled.